Starting a food blog can be expensive, but it doesn’t have to be. There are many free, or inexpensive options for just about every aspect of blogging. The very first thing you need to do is decide exactly what kind of content you’re going to share. This is called your niche. 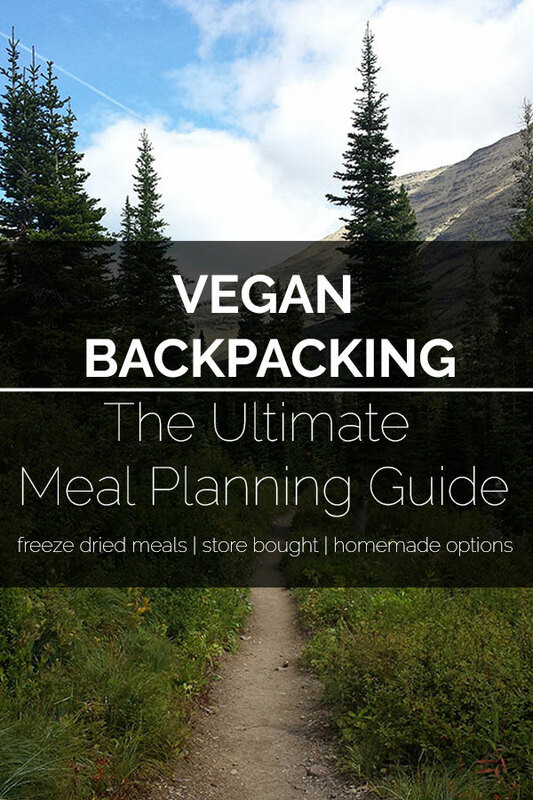 Picking a niche like “recipes” is probably too general. You want to be a bit more specific to help attract your readers. Think about cookbooks, there aren’t a lot of cookbooks that just a collection of any type of recipe. They are broken down into topics like “Easy Italian Meals”, “Budget Friendly Dinners”, “Gourmet Cooking at Home”, etc. Pick a topic that you could explain in one or two sentences. If you’re not sure what niche to pick, start doing some research on what people are looking for. Ubersuggest is a great tool that shows not only the search volume for any given term but also the amount of competition. People use many different ways to pick their sites name. There isn’t a wrong or right way. 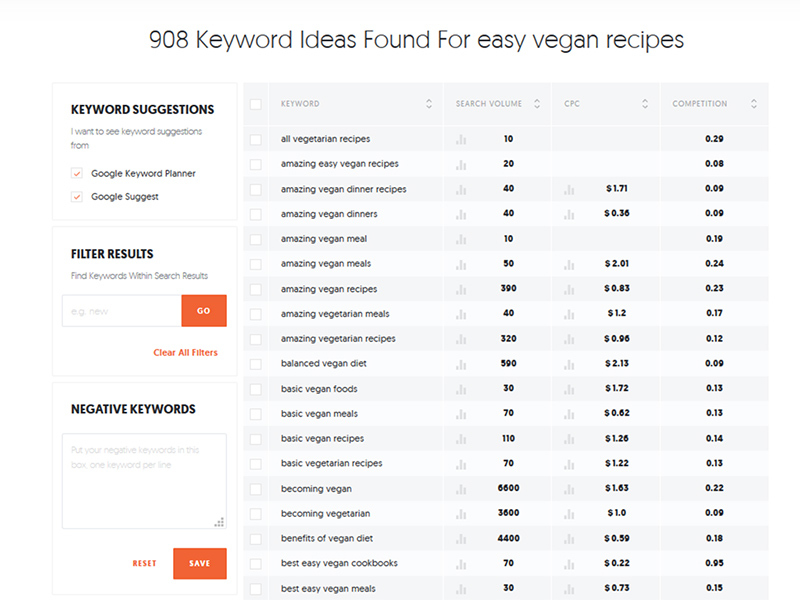 A name that’s specific to your niche like “easyveganketorecipes.com” will probably help you rank higher in google for the search term “easy vegan keto recipes”, but it’s also really going to impact your ability to change or expand on your niche down the road. Once you’ve decided on a name, check to make sure not only the URL is available, but also the corresponding name on any social media platform you plan on using. The next step is to buy the domain and decide on how you’ll host it. Will you be blogging as a hobby or as a business? Will you be monetizing your site? How much traffic will your site get? How much can you invest up front? If your blogging as a hobby and aren’t going to monetize there are platforms to choose from that easy to use and have free options. However, the free versions do have their limitations. Your domain will be free, but you won’t be able to use a custom domain. Instead, you’ll end up with something like (yoursite.wordpress.com). They’ll also put their own ads on your site. My suggestion is to use wordpress.org. It’s not as intuitive as the drag-and-drop platforms, but it’ll give you total control of your site. WordPress itself is free to use, however, you’ll need to pay for a hosting service. Bluehost is a really affordable option, starting at only $2.95 per month. 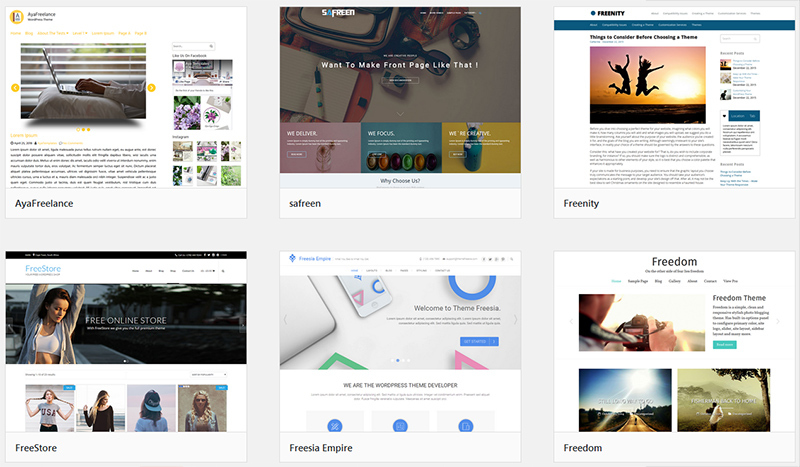 There are tons of free themes within WordPress. This is a great place to start and you can always upgrade later. You really can’t go wrong investing in a beautiful theme. I use Foodie Pro which is built on the Genesis Framework. It’s easy to use and optimized for search engines. Fancy equipment is nice, but not really necessary. Work with what you have or borrow a camera from a friend. As for lighting, natural is almost always best. Set up near a window to light your scene. If you want to upgrade without spending a fortune, look into a Canon Rebel. You can also find these used at a camera store for pretty cheap. For lenses, a 50mm 1.8 will get you a nice shallow depth of field without breaking the bank. If you need studio lights Savage is a good inexpensive setup. Writing your blog is only a fraction of the work. Once it’s posted you need to get it in front of your viewers. Thankfully there are many free ways to promote your blog. Over 70% of my traffic comes from Pinterest. It’s a powerful tool and I can’t suggest using it highly enough. There are a large number of Facebook groups dedicated to blogger sharing eachother’s work. Blogger Supporting Bloggers is a good place to start. There are also a number of niche-specific groups. A Facebook page, Instagram account, etc for your blog is a great way to stay connected with your readers. It can be difficult to make it onto Foodgawker, but if you can it tends to bring in traffic. Fridgg is like Foodgawker but without the submission process.